Muna and her family fled their home in Lebanon during the war. 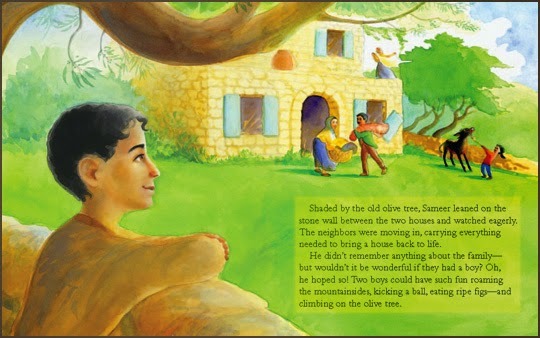 While they were gone, Sameer, the neighbor boy, took care of their precious olive tree that had been in Muna’s family for a hundred years. While gathering olives, Sameer would dream about the family that lived next door. He would imagine them returning and having a son that he could play with. One day, Sameer looked out and the family had returned. His excitement turned to sadness when he found the family had a daughter, not a son, and she was not interested in playing or being nice. 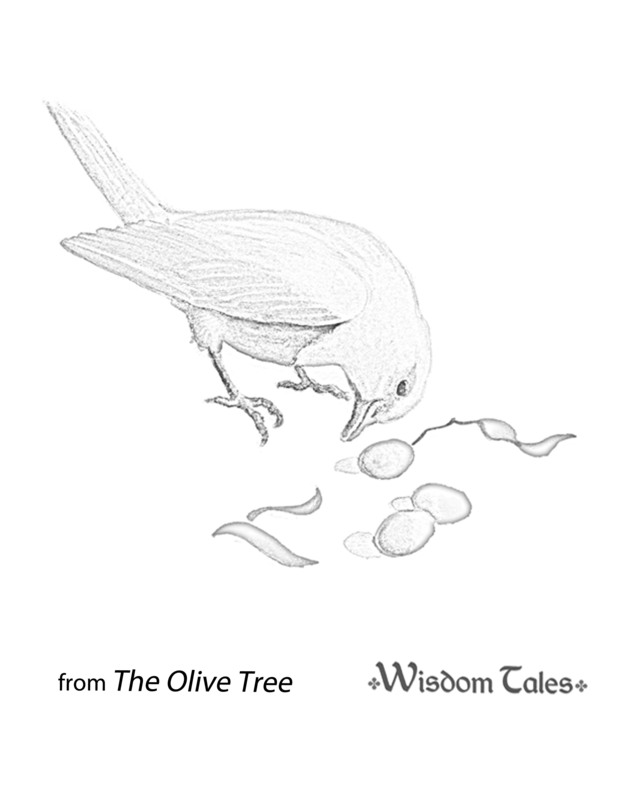 As Sameer picked up the olives that the tree had dropped into his yard, he meets the neighbor girl who has no interest in sharing the olives off of HER tree. Sameer is disappointed and angry until one evening, everything changes. This is a sweet story of friendship, forgiveness and sharing. I like that it is set in a different culture, which makes the story more unique and gives us something else to learn about and discuss with your child. The illustrations are beautiful and look like water colors. I love how the illustrator added animals into the photos even though they have nothing to do with the story. Each photo is filled with details to keep your child interested in the pictures as much as the story. Click HERE to download a coloring page from the book. This is an excellent picture book to share with your child. The lesson it shares can apply to all of us. 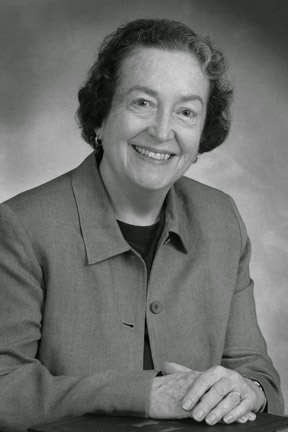 Elsa Marston is the award-winning author of over two dozen books of fiction and non-fiction for children and young adults. She grew up in Boston and from a young age was fascinated with the stories of ancient Egypt and the Middle East. Elsa lives in Bloominton, Indiana. 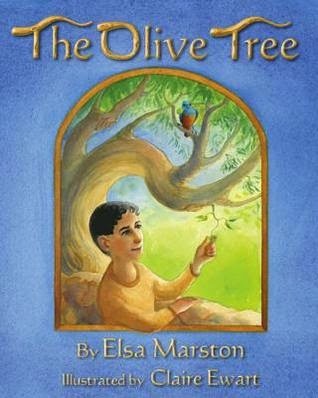 For more on Elsa and her books, visit her website at http://www.elsamarston.com/. I will be linking up on Saturday with Booking Mama’s Kid Konnection. 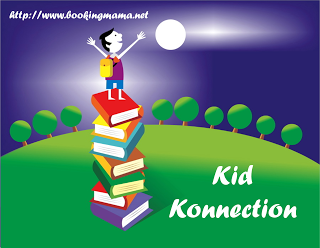 Click HERE to see other great reviews of children’s books. Thanks to Wisdom Tales Press for sending me a copy of this book for the purpose of this review. This review is my honest opinion. I was not compensated in any way for this review. If you choose to purchase this book through the above link, I may receive a small commission without you having to pay a cent more for your purchase. Thanks for supporting SincerelyStacie.com reviews.